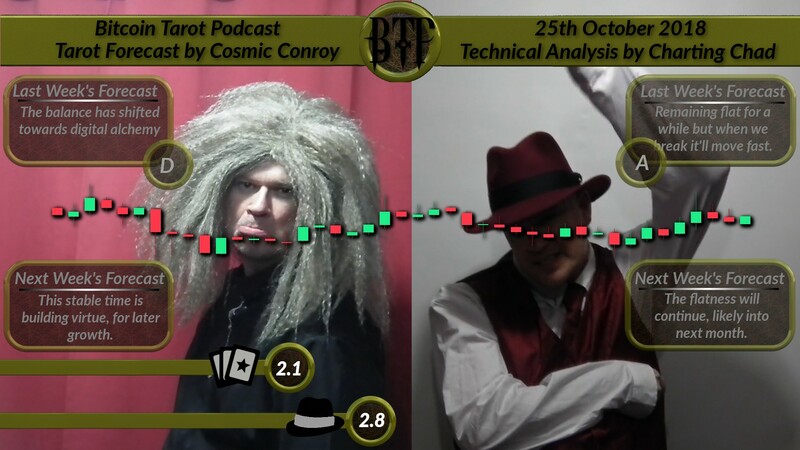 Bitcoin’s price this week has been the flattest since the #bitcoin #tarot #podcast started. Will anything in Bitcoin ever change again? What will next week bring? And if things change, which will be the first to notice? Charting Chad’s Technical Chart Analysis, or Cosmic Conroy’s Tarot Card Readings? [Tarot-Synopsis] This stable time is building virtue, for later growth. [TA-Synopsis] The flatness will continue, likely into next month.